The SRI Choke Manifold is a monogrammable API 6A product rated for working pressures up to 15,000 psi. 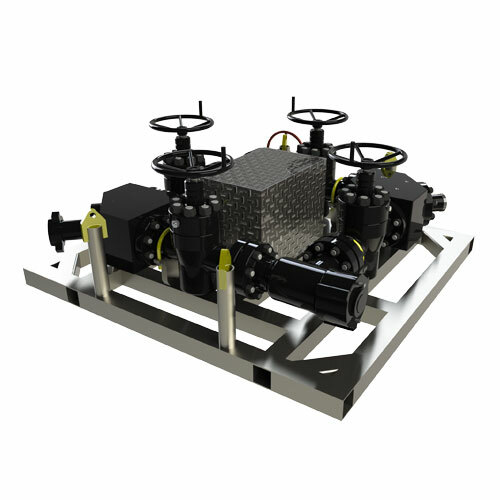 Featuring four manual valves and two chokes to control flow rate and reduce well pressure and five manual valves when a bypass is needed, our Choke Manifold can be manufactured for PSL 1-3 along with other sizes, specifications, skid mounting, and various configurations as per customer requirement and specific applications. The full manifold assembly plus skid can all be third party certified and comes with applicable documentation.